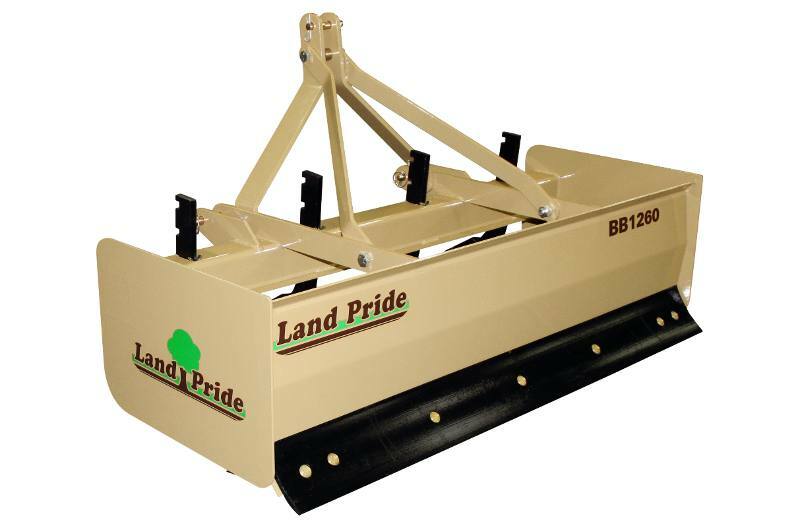 The Land Pride BB12 Series Box Scrapers are designed for Category 1 - three point hitch or Quick-Hitch System mounting to tractors in the 30 hp range. These Box Scrapers are ideal for ripping, leveling, finish grading, and backfilling applications and offer forward and reverse cutting edges. The rear backfill blade allows for backfilling trenches or foundations. 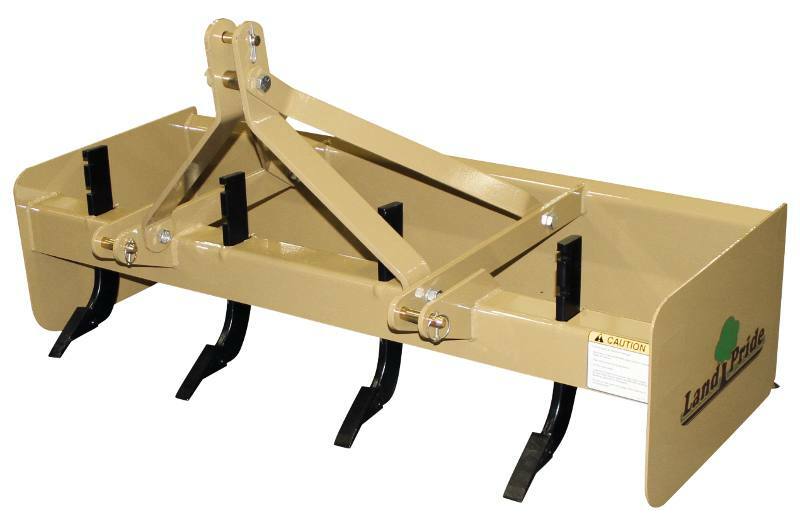 The stout 15-3/8" moldboard holds its shape under heavy loads. 3/16” Heavy side panels: Built heavy to handle the tough jobs. Shank support: Many competitors use angle iron. Manufactured shank tube is more durable. 3 Position heat treated spring steel shanks: Offers flexibility for deep to shallow settings and Heat-treated for longevity. Formed moldboard: Formed moldboard keeps materials flowing which puts less drag on the Box Scraper, resulting in lower HP requirements and faster working conditions. 15 3/8” Moldboard height: High material capacity. Moldboard: Heavy moldboard holds its shape under heavy loads. Depth of Bucket: 23 1/8 in. A-Frame Material: 1/2 in. x 3 in.